Sharin’ Hearts Ministry, Inc. is an expansion of Proverbs 31:30 Ministry. The purpose of Sharin’ Hearts Ministry is to encourage and equip women to be all that God created them to be: teaching how to walk in the fear of the Lord to the glory of God in everyday living (1 Cor. 10:31). Building up all women until Christ is fully formed in them (Gal. 4:19). Displaying the overflowing love of God from the heart and providing practical tools to live a confident, peaceful, and victorious eternal relationship in Christ (Heb. 13:20-21). Sharin’ Hearts Ministry is an outreach into the churches to encourage women to be the salt and light of their homes, workplace, and communities by giving ladies groups’ resource tools, bringing awareness to the importance of mentoring within their church and encouraging the generations to come together for the future growth of the church. Helping the leaders and ladies groups with all they need to be successful in discipleship and to foster growth within each individual woman. The vision of Sharin’ Hearts Ministry is to see women come out of their shell to not only find God’s love in a real and tangible way, but to be dispensers of His love. To become mentors and encouragers; teaching others to love their own husband, children, and themselves. (Titus 2:3-5). 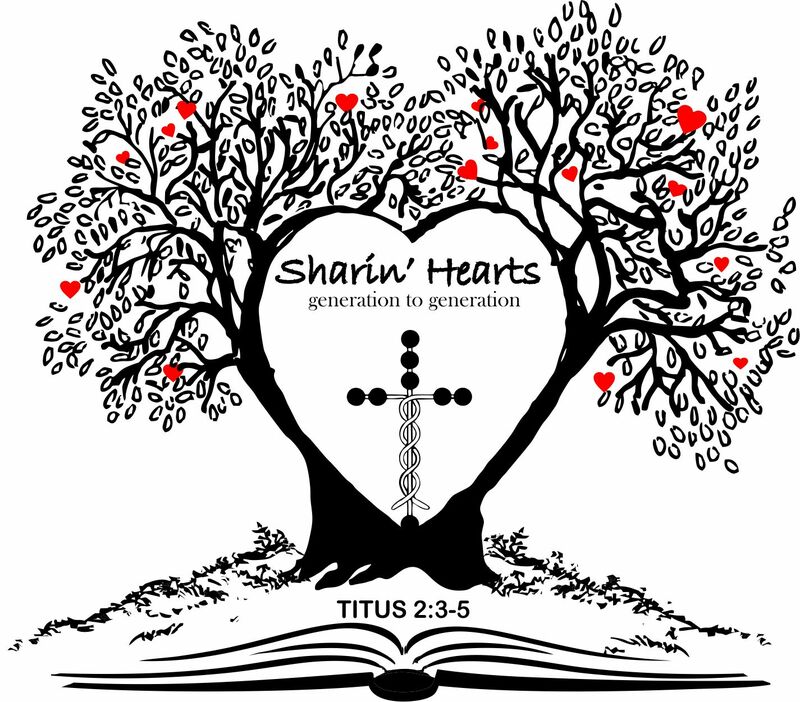 Sharin’ Hearts Ministry holds to the conservative values of Scripture (2 Tim. 3:16), believes in the Biblical definition of family (Matt. 19:4-6), and the position women are to hold in the family (Eph. 5:22-33, 1 Pet. 3:1-2). This ministry encourages the command of Titus 2:3-5, reminds women that they are included in God’s divine plan (Acts 2:17-21), and that they have been given a ministry (2 Cor. 5:17-21).